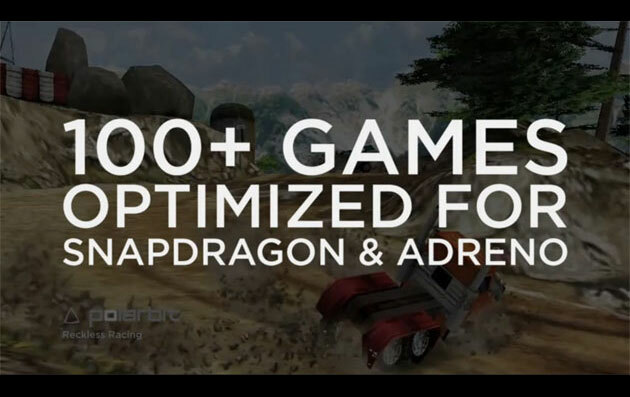 Following in the footsteps of NVIDIA Tegra Zone, Qualcomm has today unveiled its new Snapdragon Game Pack an program initially featuring more than 100 mobile games optimised and enhanced for Snapdragon-based mobile devices. These individual Snapdragon-optimised games are accessible to the Android community via the Android Market and developer stores, and new games will be added as they are released. The optimised games include titles from game studios such as Babaroga, Booyah, Com2us USA, Digital Chocolate, Eyelead Software, Glu, Guild Software, NAMCO BANDAI Games America, Gameloft, Natural Motion, Polarbit, Southend Interactive and Tripwire Interactive.